Chief Sustainability Officer, Jindal Steel and Power Group of Companies, Prominent Writer, Thought Leader, and Founder of The Stargazers Foundation. Miniya is a leading businesswoman in India, an inspirational speaker, established writer, entrepreneur, and sustainability expert. She is Chief Sustainability Officer for the Jindal Steel and Power Group of Companies, a USD 3.8 billion business conglomerate whose main interests are in steel, power, and infrastructure. Miniya works closely with the CEO to ensure long term, holistic, and strategic growth of the group of companies. She is also visiting Professor at Sciences-po Paris during 2017, where she has created a new Masters degree course on sustainability studies that she will also be teaching. Miniya is the founder of Sustain Labs Paris, the world’s first sustainability incubator with offices based in Paris and New Delhi. She is also the founder of The Stargazers Foundation, a not for profit organization that works for improving education and health for women in India. Miniya is publishing her first book titled ‘Indian Instincts’ with Penguin Random House, scheduled to be in the market in December 2017. 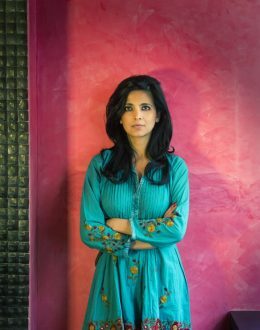 She writes for the Harvard Business Review and is a columnist for The Indian Express, The Pioneer, and The Huffington Post. She is frequently featured on television and magazines such as India Today and Vogue. Previously Miniya worked at the World Economic Forum in Geneva for a few years. There Miniya managed Middle East, North Africa, South Asia regions for Young Global Leaders. The Young Global Leaders community brings together the world’s most extraordinary leaders who are 40 years old or younger and dedicate a part of their time to improve the state of the world. Earlier, Miniya was managing two Hedge Funds of $200 million AUM in Paris. She was investing in a portfolio of 30 Hedge Funds. Miniya started on her investment-banking career at Goldman Sachs in London. Previous to investment banking, Miniya worked in politics in France as Policy Analyst with the Chief Advisor to President Jacques Chirac. Miniya is on the Steering Group for Sustainability United Nations Global Compact India, and the World Steel Sustainability Expert Group. She is on the team of the Social Credits initiative, member of the Board of The Economic Times Global Green initiative, and a member of 100 Women in Hedge Funds. She has won numerous awards. On an individual level, she has been awarded by the Navoothan Foundation for her personal social commitment. She has also been awarded the prestigious CSR India award 2016 for corporate social responsibility. Miniya is a Jury Member for the Million Dollar Global Teacher Prize and a Jury Member for The Circulars award at Davos. Miniya has a PhD and Masters from Sciences-po Paris. She has Executive Management certificates at The Wharton School at University of Pennsylvania, INSEAD, and at Columbia University. She was a PhD fellow at Harvard University and Columbia University in New York, and is a Global Leadership Fellow of the World Economic Forum.